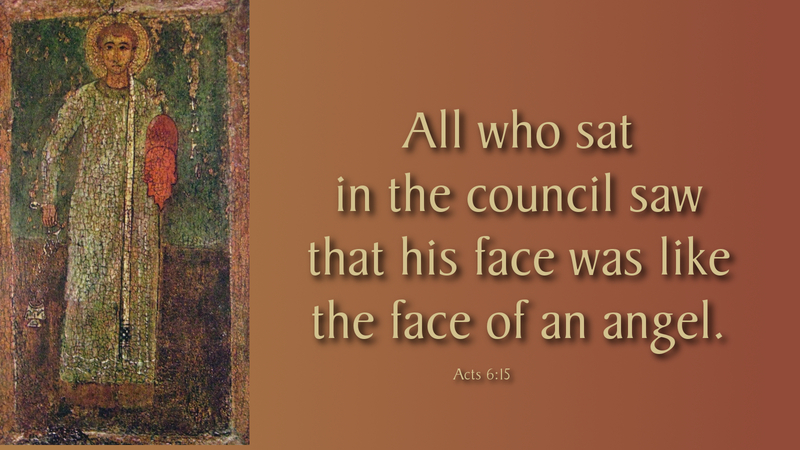 When Stephen stood trial before the council, his accusers “looked intently at him, and they saw that his face was like the face of an angel.” One of those accusers was Saul, the persecutor who, after he became an apostle, was probably Luke’s source for this striking detail about the luminous face of Stephen. But these convergences put before us a puzzle. If Saul saw the face of Stephen bathed in angelic light, why did he not convert then and there? Why three chapters later, is he “still breathing threats and murder against the disciples”? So meekly beautiful, so unspeakably vulnerable, is an unselfconscious human face on which the light of heaven is shining that we are driven either to fury or awe. We are blinded by jealous rage or beckoned to sweet abandon. The humble love of God does this to us: we either smirk or fall to our knees. Persecutors today are enflamed by the faith of Christians who die helplessly by their knives. They despise them; yet despise themselves even more for wanting to be like them. Prayer: As you shined your light a second time for Saul, Father, be merciful also to those who hate us. Amen. Your words paint a very clear picture. Thank you!